Ok, I have a confession! 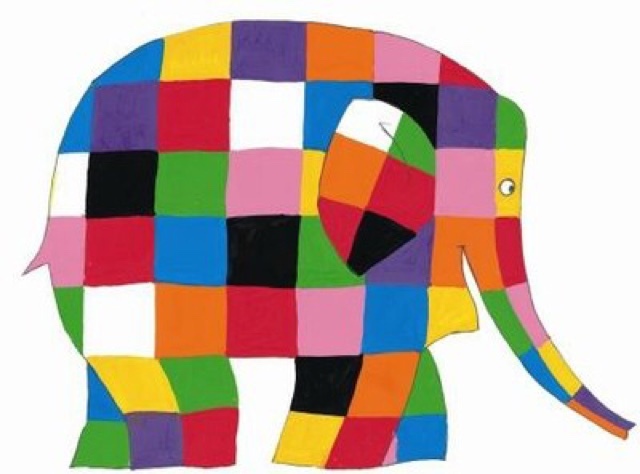 Until about 3 weeks ago I had never really heard of Elmer the elephant, I know, I know it's a bit of a travesty but it just wasn't a book that has hit our radar. 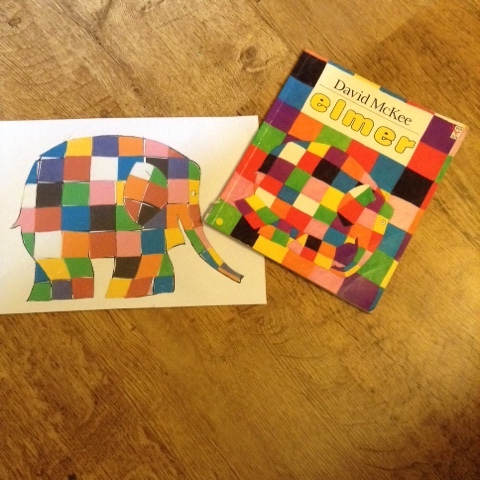 When I saw an opportunity to join in with the fabulous Elmer blog hop from adventuresofadam.com I jumped at the chance as it gave me the perfect opportunity to get the book and make an accompanying craft for it. For my craft I decided to try a 'collage by numbers' T is heavily into his numbers at the moment so this seemed perfect. I started by searching for a decent a4 picture of Elmer to print out, You can download it here too if you like. I then printed it onto a full sticker sheet. Next came a slightly trickier bit! 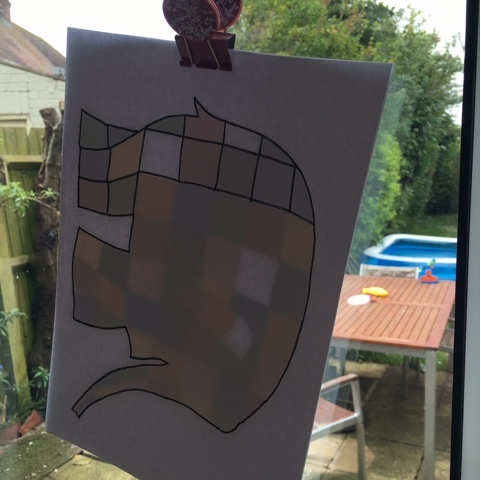 I traced the Elmer from the printed version onto a plain sheet of paper, I found doing this against the patio window was easiest. Once that was done it was time to number the colours and apply them to the drawing is made. We then cut the printed version up and added the numbers there too. 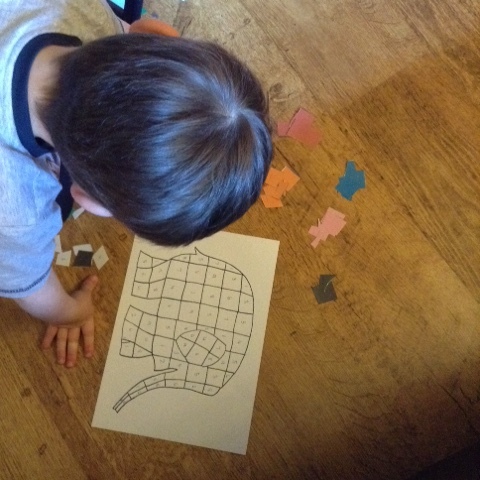 We started off by sorting the patchwork stickers into little piles by colour, T then read out each number, checked against the numbers on the back of the stickers and worked out which he needed. He needed help in getting the back off the sticker but had no problem in doing the rest of this little activity by himself. It was a perfect before bed, quiet time activity. 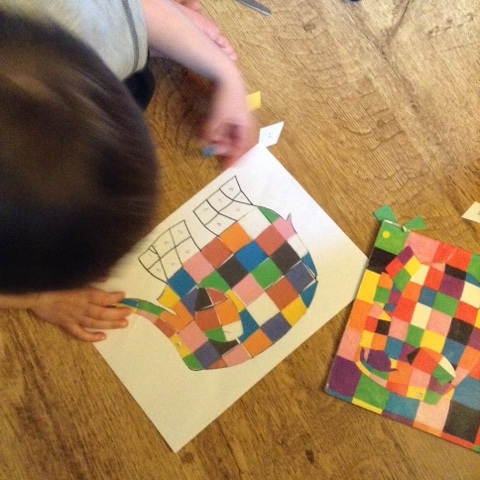 I hope you liked our little collage by numbers activity. 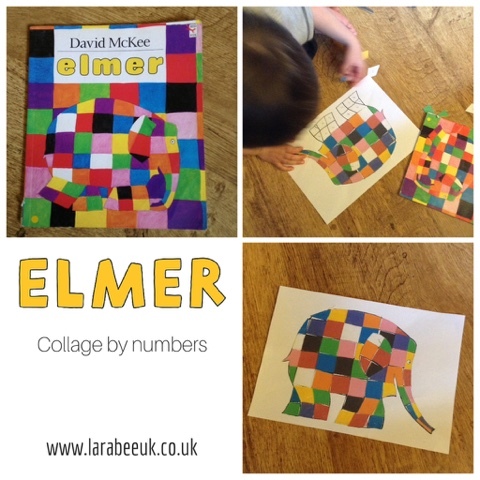 Elmer is now one of T's favourite books and I'm so glad we found it! 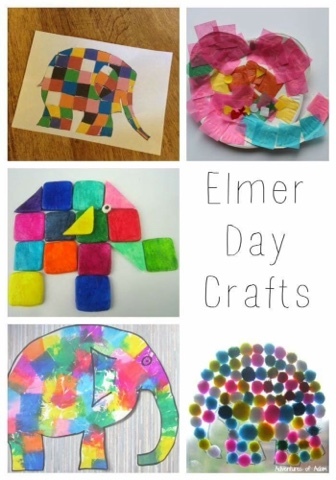 Did you know that it is Elmer Day on 28th May, check out some other great posts from other bloggers or link up your own Elmer post to the linky. Here are the other blog posts joining in with this blog hop! Elmer Tissue Paper Painting // 3 Princesses and 1 Dude! 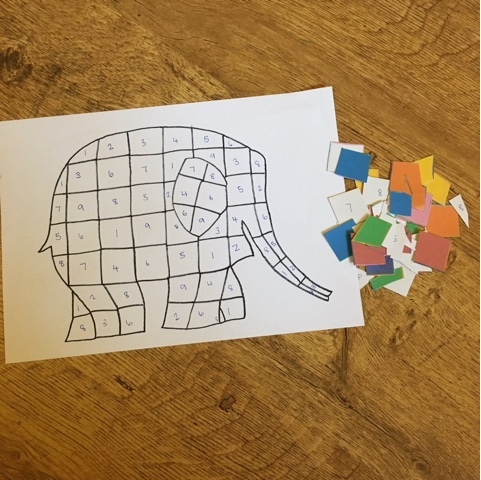 This is such a cute idea, what a fun way to reinforce number and colour recognition too! A lovely activity to do after reading the book. I can't believe you had never heard of Elmer!!!! 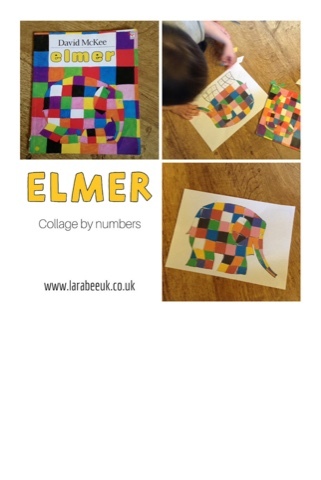 Hope you have been introduced to an amazing Elmer world now. Love the idea of using numbers!